In one of his trials for gross indecency, Oscar Wilde was asked to comment on a phrase he had written in an Oxford publication edited by his friend Lord Alfred Douglas. This drew a laugh from the crowd. I think of this when I reflect on the poem The Ballad of Reading Gaol. The ballad, written after Wilde’s release from the jail, vividly recalled the execution by hanging of a fellow prisoner who had been convicted of murdering his wife. In the poem Wilde reflects upon the nature of guilt and innocence. The difference between the free and the prisoner, the prisoner and the condemned are matters of degree not of character. Each man is capable, under the right circumstances, of the same crime. The line was an allusion to Shakespeare’s Merchant of Venice, reversed in typical Wildean fashion. In the play, Bassanio asks “Do all men kill the things they do not love?” “Each man kills the thing he loves” is beautiful and affecting as poetry, but I am not sure I set any high store on it as an axiom. There are contexts, certainly, in which it is true, but I do not think it to be a general truism about the nature of love. It was, however, all too true of Wilde’s life. 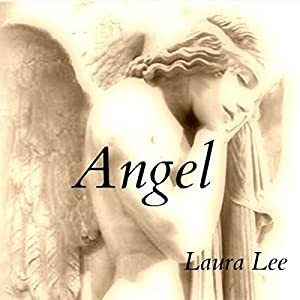 No one who loved him emerged unscathed, just as he had been damaged by the one he most loved. It all began when a young man fell in love. His outraged father did everything in his power to stop what he saw as the unnatural and deviant influence of Wilde over him. The ballad was written during a brief post-prison period when Wilde and Douglas were sharing a house in Naples. The reunion had infuriated the friends and families of both men. It definitively ended any hope that Wilde would reunite with his wife, Constance, who had seen her family and her way of life torn apart by the trials. By his own account, Douglas repeatedly asked Wilde what “each man kills the thing he loves” meant. The line cut both ways, and Douglas must have been trying to figure out whether Wilde regretted the damage he had done to his young love or the damage that his young love had done to him. Although Constance was deeply wounded by her husband’s return to the infamous aristocrat, she loved The Ballad of Reading Gaol. 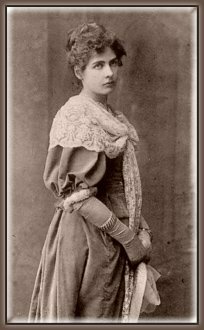 Franny Moyle, who wrote the biography Constance: The Tragic and Scandalous Life of Mrs. Oscar Wilde, found this a bit contradictory. “Quite why Constance continued to show pride in her husband’s work, in spite of his condemnation of her, and quite why she continued to provide for him are difficult questions,” Moyle wrote. I doesn’t seem mysterious at all to me. “Each man kills the thing he loves.” It was as closest thing to a confession and an apology as she was to receive after her husband reunited with Douglas. She died in April, 1898. Wilde died two years later. Years after Wilde’s death, Ross and Douglas would do battle over Ross’s handling of Wilde’s prison letter to Douglas, De Profundis. The drama is too long to recount here in detail, but if you want the whole story I recommend Caspar Wintermans’ Alfred Douglas: A Poet’s Life and His Finest Work. The short version is that Douglas had been unaware that the personal parts of Wilde’s letter to him existed until they were provided to a biographer by Ross and later used in a court case defending the biography against Douglas’s libel suit. Ross donated the manuscript to the British Museum to be published after Douglas’s death. Douglas wanted to write his own answer to the letter, but Ross, as Wilde’s executor, would not allow Douglas to publish quotes from it. Douglas felt that as the letter was addressed to him, he was legally and morally its owner. The letter, written when Wilde was in great turmoil in prison and with the mistaken belief that Douglas had abandoned him, painted an unflattering portrait. Reading the Complete Letters of Oscar Wilde, it becomes clear that Wilde often created edited versions of his persona for different friends. In particular, Wilde tried to downplay his interest in Lord Alfred Douglas to Ross. It is understandable that he would do this. Ross was not only Wilde’s sometime lover (McKenna believes they renewed their sexual relationship after Wilde’s release and before Douglas came back into the picture) but also the liaison between the playwright and his estranged family and the man who controlled Wilde’s finances. Ross truly believed that Douglas had always been the pursuer in the relationship with Wilde, because this was the impression Wilde wanted to give him. Douglas knew what Ross could not: That after his release from prison, as Wilde was writing to Ross saying that Douglas’s persistent letters“terrified” him, Wilde was actually encouraging Douglas, making plans for a reunion and could not resist writing to him every single day. Ross believed the De Profundis account with few reservations. Wilde had never given him any cause not to. Lord Alfred Douglas was self-centered enough to believe that anyone who did anything that affected him negatively had done it to him. We should not make the same mistake. Although Robert Ross’s actions with regards to De Profundis were quite unfair to Douglas, it is wrong to assume that this was his intent. Those sympathetic to Douglas tend to paint Ross as driven by romantic jealousy, and the battle that would erupt between the two men is presented as a fight over possession of Oscar Wilde’s ghost. If Ross harbored bitter jealousy towards Douglas, there is little evidence of it. The two friends occasionally quarreled–friends of Douglas inevitably did– but none of the arguments leading up to his revealing of De Profundis to biographers was enough to make Ross want to destroy his former friend or start a war with him. What was really at stake for Ross was not posthumous ownership of Oscar Wilde, it was absolution. Ross believed he had been the one who introduced Wilde to homosexual practices. Although Ross did not share Wilde’s attraction to danger and “rough trade,” it may have been Ross who introduced Wilde to Maruice Schwabe, who in turn introduced Wilde to the panderer Alfred Taylor, which was the ultimate cause of Wilde’s imprisonment. (Contrary to popular belief, he was not actually jailed for his relationship with Douglas.) Ross feared that he had sent Wilde down the path to his ruin. 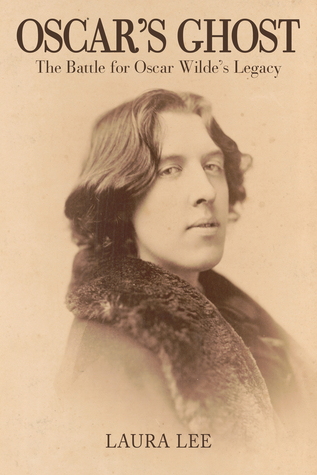 Ross told Wilde’s biographer Christopher Millard that the reason he was so driven to restore Wilde’s literary reputation and to help his family was because he felt responsible for what had happened. Ross had his own comforting document– De Profundis. There was the proof that Wilde did not blame Ross for leading him down that path. Ross was not culpable– it was Bosie who ruined Wilde. Ross needed to make this known, not because he hated Bosie, but because it was the only version of the narrative that allowed him to remain entirely innocent of Wilde’s downfall. The battle that was to follow between Alfred Douglas and Robert Ross was not a fight between jealous romantic rivals. It was a fight over who history would blame for the tragic loss. Which one of them had killed the thing he loved? Douglas may have won his battle–he defeated Ross in the legal arena–but Ross was the clear winner of the war. The term “faithful friend” is applied to him so consistently it is as if it were his official title. The 1997 film Wilde depicts Ross as Wilde’s good angel to Bosie’s bad angel. Wilde is depicted as having no interest in London’s rough underbelly until Bosie introduces him to Alfred Taylor. Wilde goes along reluctantly, to please Bosie. Real history was much more messy. There is no hint in the movie that Wilde had always been so attracted to the seedy side of life that he had snuck out on his own honeymoon to tour the red light district. The audience would never suspect that Ross himself (along with Bosie) was involved in a scandal only shortly before the trials which, had it not been covered up, could have ruined Wilde just as surely and completely. Ross, who was not in the best of health, could not stand up to the stress of Bosie’s lawsuits and harassment. Most people believe that he was essentially hounded to death by Douglas. Douglas spent most of his middle years in an unsuccessful quest to reclaim the narrative through a series of lawsuits. His mental health eroded and he succeeded mostly in alienating friends and making new enemies. Each man kills the thing he loves may not be a general truism. But it was certainly true of the life of Oscar Wilde. ← Who Gave You The Right to Be You? Well,You’re clearly the better scholar,but I object to your ( well-written ) story,on two accounts :as I remember it,Constance divorced Oscar while he was in prison ( or at least began the divorce ),thereafter he was declared a legal pauper. And — it seems almost too obvious to point out– that the sincerity of De Profundis stands on its own,holding more strength & gravitas than any subsequent rendering by minor characters Douglas,Taylor, or the unmentioned ( & unmentionable ) reactionary thug,QC Edward Carson who prosecuted Wilde. Thank you for taking the time to read and reply. Actually Constance did not divorce Oscar. Although she was quite ill at the time she visited Wilde in prison and discussed terms for a reunion. She supported him financially with a generous allowance after his release. She had made plans to visit him in France to discuss getting back together when Wilde moved in with Alfred Douglas ending any chance of reunion. In spite of this she continued to provide for him and the allowance continued after her death and was one of his primary sources of income. He was, indeed, broke after prison but he should not have been. Between the allowance and income from The Ballad he would have been able to live relatively comfortably but he had extravagant spending habits even post prison. De Profundis, indeed, stands on its own as literature. As unbiased history it is a different matter. Taylor, to my knowledge never made any comment on the trials. It is worth noting that Alfred Taylor would not have been arrested were it not for Wilde’s legal action against Queensberry. He was given an opportunity to avoid prosecution by testifying against Wilde. He refused to do so and as a result he was sentenced to the same sentence as Wilde. There is no evidence in Wilde’s existing letters that he ever tried to help Taylor or expressed any regret for the sacrifices Taylor made on his behalf although Lord Alfred Douglas did contribute to his legal defense and may have been doing so on behalf of them both. Taylor is remembered as a panderer but in fact he was found not guilty of that crime. The jury found no evidence that Taylor ever took money to make introductions. His payment was the enjoyment of Wilde’s company.